Just like any other Android devices, there are a number of different reasons why a user would need to recover data. Some of the more common involved data that was lost due to the user inadvertently manually deleting the data or the phone was damaged physically beyond repair and the data needs to be saved and used again. No matter what the case is, there are some tools like Android Data Recovery that can help with recovering the lost data. 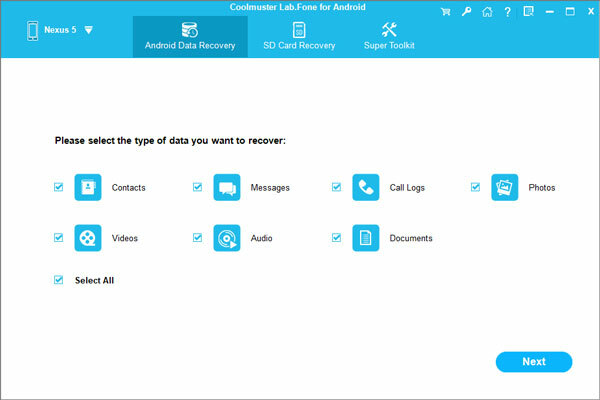 To retrieve deleted text messages from OnePlus One/One Mini/2/3, you can turn to Coolmuster Android Data Recovery, which is an ideal program that is for Android users to recover lost and deleted data from Android smartphones and tablets. Besides text messages, Android Data Recovery also recover contacts, call logs, photos, videos, music and more from OnePlus One/2/3. The whole recovery process can be done in 1-2-3 steps. 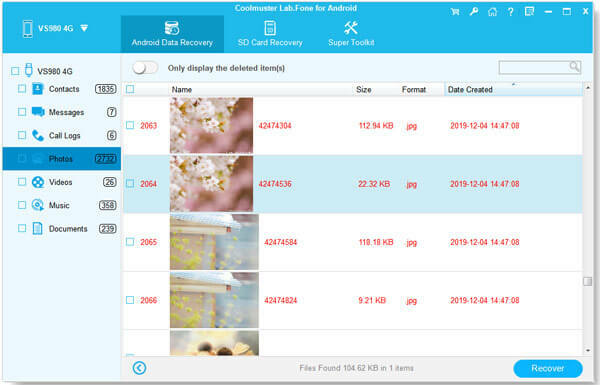 Click the following button to download the Android Data Recovery and have a free trial. How to Recover Lost SMS on OnePlus One/2/3? Run the recommended OnePlus Data Recovery on your computer. Then connect your OnePlus phone to the computer via an USB cord. The program detects the connected phone and shows it in interface. Choose the file type you need to recover from the phone. For text messages recovery, just choose "Messages" and click the button of "Next". Then, the program scans the OnePlus phone for all the lost text messages. Scan completes. You can preview and mark the text messages you want back and hit on the "Recover" button. After that, SMS with text content, name, phone number, etc. will be recovered and exported in HTML format on your computer.